Where can you find real Gdansk food? Our city has no shortage of restaurants serving dishes commonly associated with the City of Neptune. Most of these are of course fish dishes, but that is not all we have to offer. We have delved into the “Flavours of Gdansk” guide to show you 4 restaurants where you can taste Gdansk specialities. This is a delicacy served in Mercato, the restaurant located in the Hilton Hotel (1 Targ Rybny Street). The restaurant’s chef, Pawel Stawicki, recommends herring served with roasted onion and white elderberry mousse. This Gdansk speciality consists of pieces of salted herring served with leek, roasted onion and chopped cucumbers macerated in alcohol. The plate is garnished with a sprinkling of powdered parsley and fresh cucumber, elderberry flower syrup and verbena. If marinated herring is what you are after, visit Zafishowani (6 Tokarska Street). Its chef, Daniel Chrzanowski, dresses classic herring in new “clothes”. 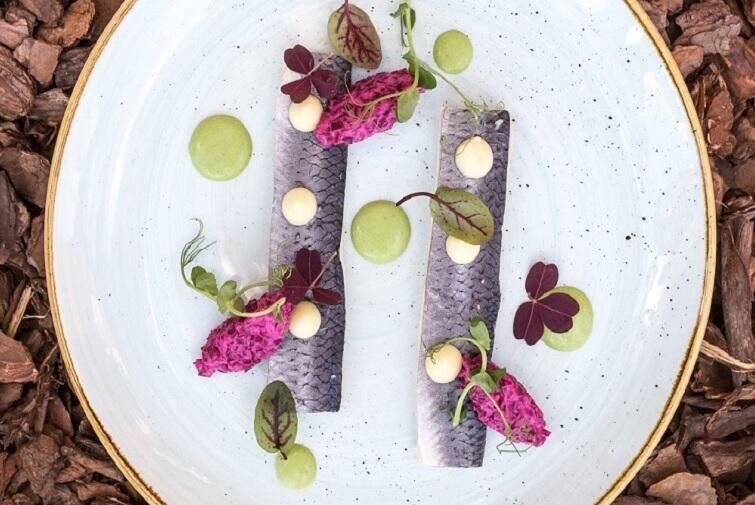 The traditional marinated herring is sprinkled with parsley and apple mousse and served with a beetroot salad. This is a very unorthodox take on a classic dish. In other words, it is modernity combined with tradition! 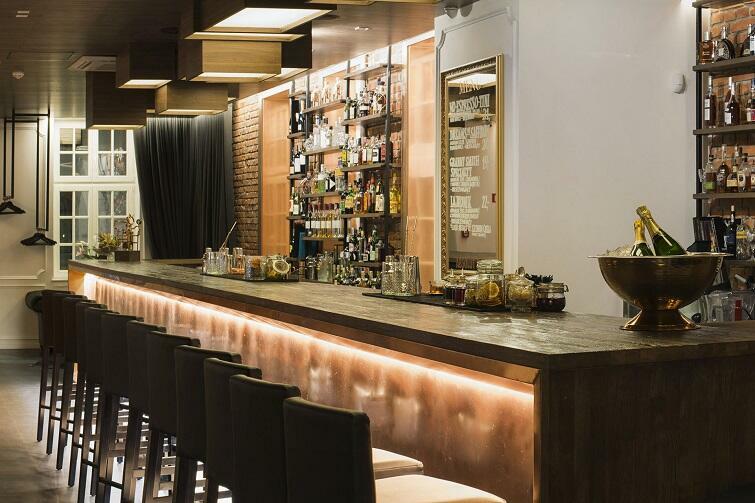 Wrzeszcz’s Eliksir (1 M. Hemara Street) is a place where true magic happens. Common ingredients turn into unique dishes thanks to the craft of Chef Pawel Wator. His culinary spell book also contains the recipe for a crispy Baltic herring fillet. It is a spiced young herring in crispy beer batter, served with marinated carrots and onion, grated horseradish and cream. It is important to add that the chef also managed a truly impossible feat here – he was able to match the dish with the perfect cocktail – the Kashubian Sangrita or Pomerito. Don’t believe in magic? Eliksir will have you convinced that it does exist! You read that right – Gdansk is not only about herring! This time, goose takes the stage, made according to a recipe created by Piotr Zelich, the chef at Brovarnia (9 Szafarnia Street). His dish takes the form of goose kashotto. The goose is first macerated in sugar, salt, juniper, garlic and oranges, and then confited. This makes the meat soft as butter and a perfect match for the kasha, emmer, quinoa, rice and orzotto forest mushroom. The dish goes great with wheat beer. All that is left is to make a reservation and grab your forks!